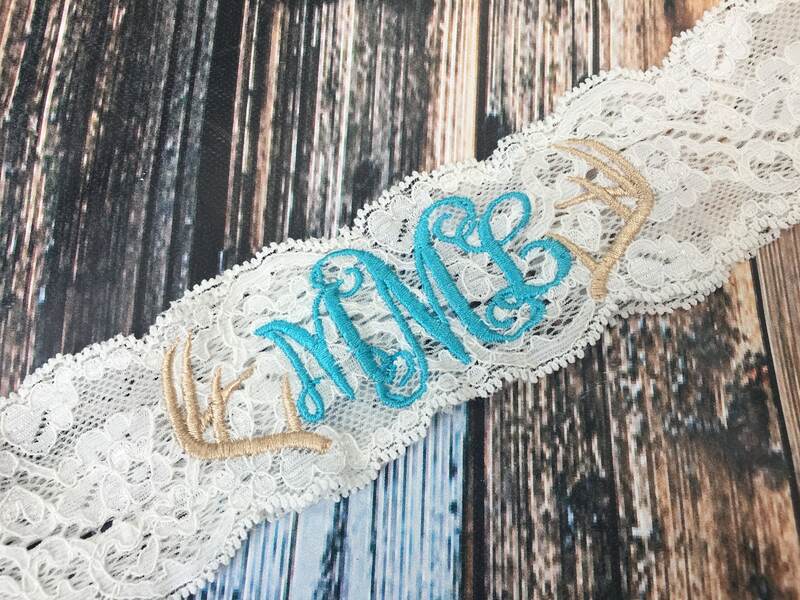 This listing is for a Personalized monogrammed Garter with antlers around it. Perfect for your rustic wedding! WANT ANOTHER COLOR? JUST ASK! 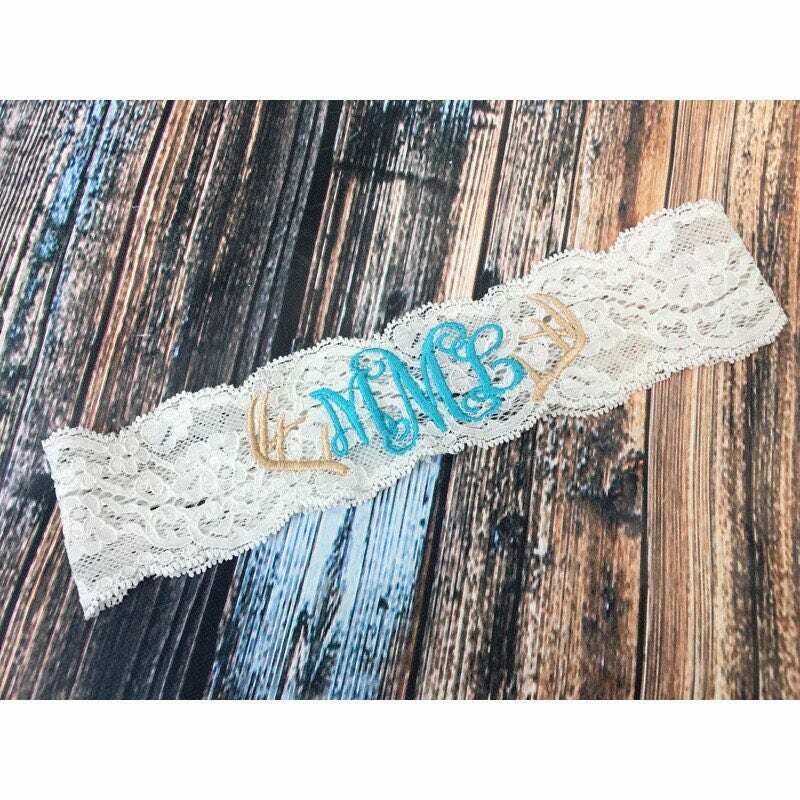 ***************PLEASE copy and paste Initials to be monogrammed in the order you would like them to appear, to the note to seller section and make sure you DOUBLE CHECK as there are no returns on custom or wedding items. **Monogrammed garters or any other monogrammed items can not be refunded after 48 hrs of purchase date due to the nature of this item.